When people head out from Sante Fe, N.M., to Chama, N.M., to ride the historic train they may stop in Abiquiu or Ghost Ranch to see Georgia O'Keefe country, which is definitely worth exploring. But they could completely miss noticing Los Ojos, a tiny ramshackle hamlet, just about 11 miles south of Chama. Do stop a while. 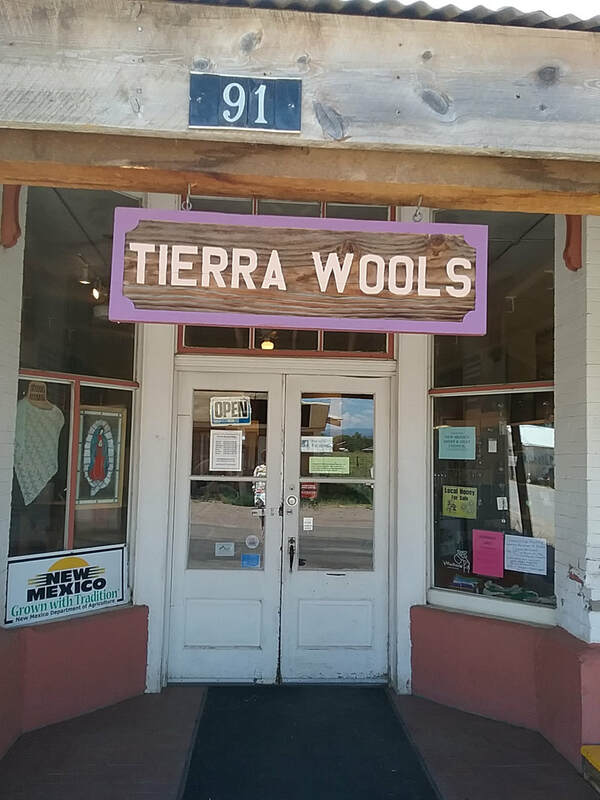 The big draw is Tierra Wools, a weaver/spinner/grower owned company housed in a restored century-old mercantile building. The ideal behind it is to preserve the sheep herding culture on their land and the Hispanic weaving traditions. Their brochure notes the locals ancestors arrived nearly 200 years ago and lived off the land surviving the harsh mountain winter isolation through co-operation and self reliance. Tierra Wools is one of the programs of Ganados Del Valle. Its cooperative breeding program works to save the old Spanish Churro sheep line from extinction. The quality of the work on display is excellent with colors redolent of the surrounding countryside. 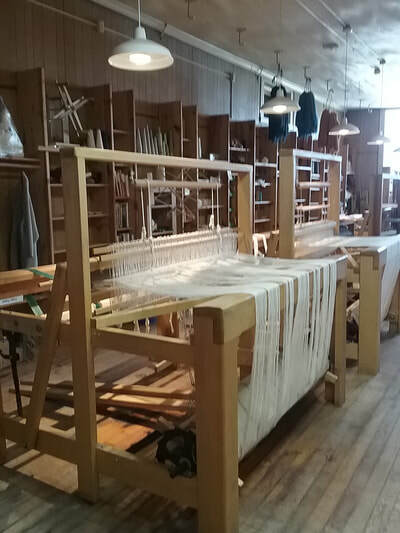 Behind the large showroom is a room filled with looms where weaving lessons or demonstrations take place. 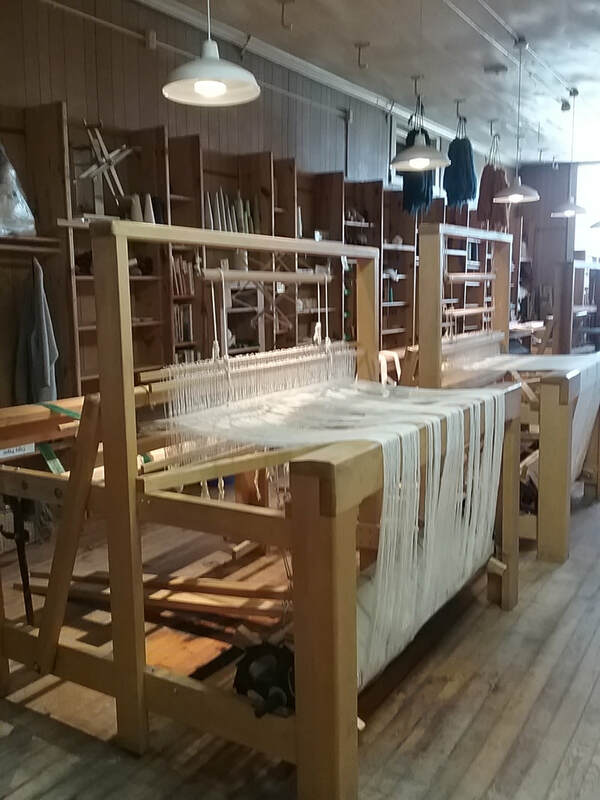 They offer various weaving, spinning and dying classes and they even have a casita to rent out while you are there. 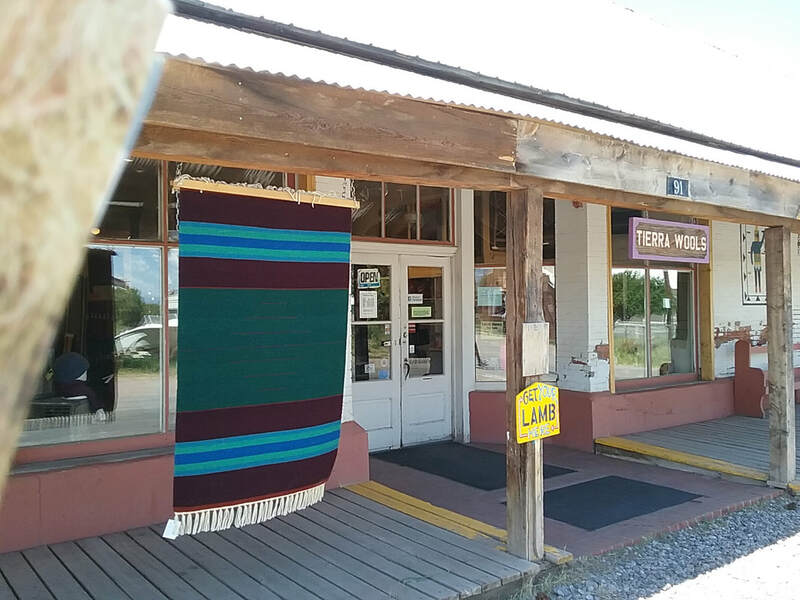 They host a Spring Harvest Festival on the last Saturday in April every year and if you are there over the Labor Day weekend in September, they are usually on the Chama Valley Studio Tour . 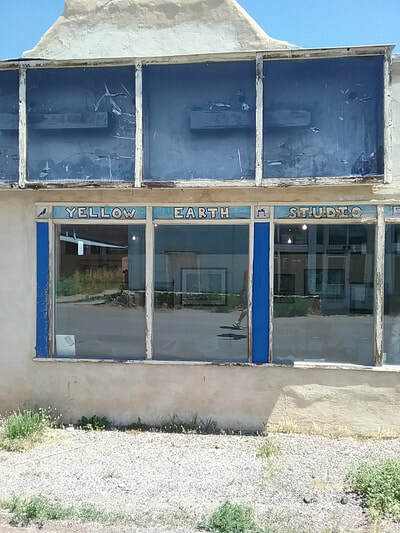 A couple of buildings down the road is well known local artist, Paul Trachtman's, Yellow Earth Studio. 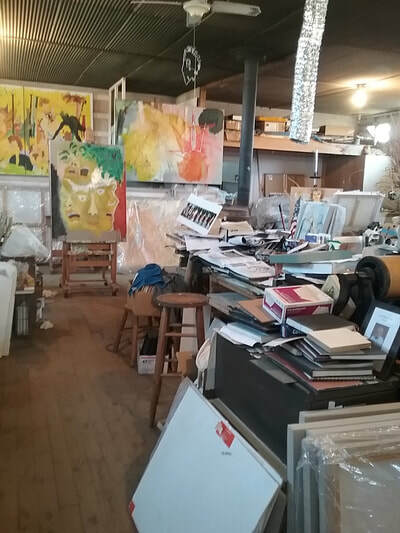 A small front portion serves as a gallery and the rest is a marvelous messy jumble of bright, large canvases, books and sketchbooks. Trachtman has another studio in Sante Fe, so be sure to call ahead to check if he will be there. A small adobe building houses Tra Vuelta - a tire recycling enterprise. They produce handmade door mats, flower pots and any custom order you want. It might be a little ramshackle but murals adorn some of the walls of the village and great art is created in the historic buildings.